Pres. Hoover vetoes veterans' bonus bill. Veto message: Bill violates committment given in 1924. Govt. has already spent $5B on veterans' relief, hospitalization, and welfare since the war and will continue this support. "Not a penny in the Treasury" to pay; veterans in need only a minor percentage and being cared for adequately, often receiving preference from employers; payments won't be enough for adequate relief. Business can't be stimulated by "borrowing from some of our people, pledging the credit of all the people, to loan to some of our people who are not in need"; people today need lower taxes and more jobs, but laws like these will force us toward higher taxes and job losses. House immediately overrides veto; Senate will consider the veto today. Editorial: Some are wondering whether the current recovery is another “false dawn” as happened in early 1930. However, there are reasons for believing this recovery, though gradual, will be more lasting. Business activity in early 1930 had only begun to readjust, with general activity about 10% below normal; by contrast, in Jan. this year, activity was 25%- 30% below normal. 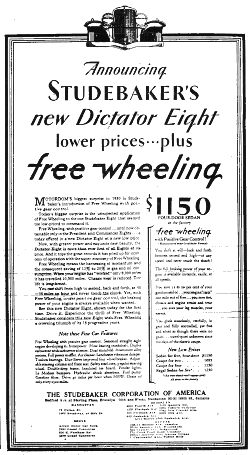 Likewise, price readjustment had barely gotten started in early 1930 but now is far along, with Fisher's index below 76 compared to 98.6 in mid-1929. These adjustments strongly indicate "business has lately fallen to the minimum requirements of 120M people" together with capital projects that are sure to go ahead. "After a year of such painful readjustment, it is only logical to suppose that the greater part of the inevitable elimination of weak spots in the economic structure has been accomplished." Washington report: Oil legislation picture is complex. While House leaders and the Pres. now may be able to agree on a compromise on restricting imports, it probably will be blocked this session by oil consuming states worried about price increases. Eventual compromise might give Federal govt. more regulatory authority over the oil industry, possibly by giving an agency power to adjust import restrictions. House Committee blocks legislation to regulate rail holding cos. through the ICC. E. Meyer's 72-11 confirmation in spite of Congessional charges involving “international bankers” and “stock gamblers” seen as personal triumph. Some speculate the upcoming Democratic Nat'l Committee meeting will propose resubmitting Prohibition amendment to the states. Closing rush of legislation before Congress adjourns Mar. 4 is likely to generate one last extra session scare. O. Baker of the Agriculture Dept. predicts US will reach stationary population of 160M by 1960 unless birth rate rises (considered improbable), or immigration laws are liberalized. Calif. treasury officials warn that special fund spending of $28.6M added by the legislature would leave a deficit of $6.9M over the next 2 fiscal years. J. Stephens (D, NY), only black member of NY State Assembly, introduces amendment to civil rights law prohibiting public utilities from discriminating on basis of race or color. NY Board of Education approves 1931 school construction program involving construction of 90 new buildings, estimated spending of $68M. Welfare Council of NY announces 32 NY corporations employing several hundred thousand have pledged not to lay off workers during unemployment crisis. Mr. Gannett says he's interested in buying NY World and maintaining policies of Joseph Pulitzer; NY World employees also trying to put together offer. NY State Senate authorized construction of tunnel between Midtown and Weehawken, NJ [Lincoln tunnel]. New City Bank building's switchboard will handle daily total of 39,000 outgoing calls, 59,000 incoming, and 51,000 inter-office. Maj. Gen. E. Jadwin, appointed by Pres. Hoover to investigate possibility of canal through Nicaragua, says commission has concluded it would be feasible at a cost of about $700M, but hasn't decided whether to recommend construction. Spain is building a huge University City near Madrid, on a 900-acre park donated by King Alfonso. It's hoped the University will be completed in four years, at a cost of about $50M; Spanish writers are calling it the "new Athens of our century." Market wrap: Stocks resumed advance; major industrials pushed ahead aggressively, with new 1931 highs in US Steel, GE, and GM; trading favorites were up sharply, and many low-priced shares were subjected to bullish demonstrations. Some setbacks from day's highs in the final hour. Bonds moderately active; US govts. lower; foreign active and strong; corp. high-grade irregular, speculative and convertible up sharply. Commodities weak; grains down sharply; cotton off slightly. Copper buying continued heavy, possible advance in price seen. Silver market uncertain due to Indian deficit. Market sentiment cheerful, but conservative observers advise against becoming overextended on the long side. Utilities strong on declining fears of Congressional action. Goldman Sachs Trading went above 10, and some other investment trust and holding cos. gained. Banks and trusts closed mostly lower on the day. Warner Bros. pressured on poor earnings and outlook. Outside short interest is reportedly down substantially from earlier in the year. However, a number of leading bears stubbornly continue to fight the rally, maintaining that private reports on business from around the country have been anything but encouraging; some predict a renewed business dip after the spring. Wall Street opinion traces turn in the market to last Nov. and Dec., when important interests again started accumulating their favorite stocks; market movement seems based on belief business has hit bottom and will recover gradually, rather than on expectation of sharp upturn. For the past several weeks, market has seemed to ignore unfavorable earnings and other news as “water over the dam,” already discounted by the decline last year. Survey of 20 large managed investment trusts [similar to mutual funds] for changes made in 1930 finds stocks most commonly liquidated were: Standard Oil NJ, IT&T, Westinghouse, Gillette, Radio; holdings of industrials declined while utilities and rails increased. Remarkable recent growth of fixed investment trusts [similar to ETF's] attributed to soundness of idea, but also to aggressive advertising through newspapers, magazines, and specially made talking films shown by dealers. Strong markets have increased Wall Street's population; brokers report clients reappearing after a year or more's absence; some have hired more staff. Editorial: European grain conference aiming to encourage East European exports to rest of Europe, isn't that significant to US exporters; only 4 East European countries are sizeable exporters, with probable limit of about 100M bushel surplus, while estimated European requirements are 610M bushels this year. D. Robinson, railworker union leader, hits govt. subsidizing of unprofitable waterway transport, says it has hurt labor and the railroads, is being promoted by “special interest shippers.” Editorial by T. Woodlock bemoaning loss of “ideal” gasoline traffic by railroads due to competitive conditions in oil industry. Trucks are taking an increasing amount of profitable new car-delivery business from rails, though higher gasoline taxes may stop this trend. Coca Cola seen benefitting materially from low cost of sugar, one of its main raw materials. Air Reduction (welding) seen benefitting from stricter building codes. Predictions for March auto output are about 300,000 cars and trucks, vs. about 220,000 in Feb. and 178,000 in Jan.
J. Pole, Comptroller of the Currency, says giving Federal official the power to dismiss bankers engaging in unsound practices would go far to restrain bad banking; on the other hand, laws aimed at specific bad practices “may have unforeseen reactions in other directions.” Motions to dismiss indictments against Bank of US officers denied. Supreme Court rules Nebraska depositors' guaranty law constitutional; state banks now liable for large payments to make up accumulated $21M fund deficit; many state banks expected to become national to avoid payments. Fed. Reserve reports money in circulation Feb. 25 up $9M to $4.569B, total Reserve Bank credit outstanding down $1M to $904M. Member banks in NY City report brokers' loans up $26M to $1.798B; loans on securities to non-brokers down $15M to $1.870B; this figure has declined continuously since start of year. Jan. earnings of first 30 reporting rails down 27.6% from 1930. Detroit employment index on Feb. 15 was 78, vs. 76.5 on Jan. 31 and 106.5 on Feb. 15, 1930. Number of new families applying to Detroit welfare dept. for help has declined substantially for the first time in 18 months. About 1,000 people gather to protest oil curtailment in Oklahoma; J. Simpson, Farmers' Union pres., says many farmers depend on oil lease rentals, Okla. is being discriminated against in favor of other oil states. H. Kenner, Better Business Bureau of NY GM, puts total losses from preventable rackets at over $2B annually, of which a third is due to stock swindles; asks raising of $5M fund annually by legitimate business to fight fraud. O. Auspurger, NY Auto. Club pres., estimates total US investment in motor transport at $25B, of which about half is in rural highways and a third in vehicles. Farm Board announces Grain Stabilization Corp. will sell up to 35M bushels of wheat in holds to export markets over next 4 months in order to clear domestic ports for the new crop; wheat prices declined sharply. Deficit of 13.5M pounds expected in Indian budget announcement Mar. 1; new taxation likely. Bank of England hasn't lost gold for several weeks, but has also been unable to replenish reserves substantially. A small Paris bank is selling rubles at rate of one tchervonetz (= 10 rubles) for 26.50 francs, or only 20.4% of the official rate of 13 francs/ruble. US cigar makers testify embargo on Sumatra cigar wrapper tobacco would destroy the industry; at earlier hearings it was admitted indentured labor was used to produce the wrappers. Domestic growers say they could supply US needs, but cigar makers say smokers have acquired a taste for Sumatra wrappers. Gillette defers action on common dividend until future earnings are clearer. Companies reporting decent earnings: Grand Union, Borden (dairy products), Bangor Hydro-Electric, NY Steam. Comrades of 1918 - German film about the war, directed by G. Pabst. Provocative; striking photography; many of the war scenes authentic and compelling. Scenes vary from gruesome views of the battlefield and improvised hospitals, to lighter scenes behind the lines, "and in a trench where one of the men sings, while picking 'cooties' out of his clothing, to the tune of a harmonica ..." Sound recording isn't as powerful as our own All Quiet on the Western Front. Pres. Coolidge, on seeing Sen. Borah riding by on horseback one day, observed that it must be a unique sensation for the Senator to be going along in the same direction with even his horse. Senate confirms Eugene Meyer as governor of Fed. Reserve Board, 72-11. A. Pope, First National - Old Colony exec. VP, testifies before Glass banking committee. Defends bank investment affiliates as essential for industrial development of US; against publication of investment affiliate portfolios since they might disturb markets; unwise to try to regulate bank investments and loans; blue sky law to stop worthless security issues would do more harm than good; regulation can't supply good judgement, but proper examination of banks and affiliates would help. Glass committee to suspend hearings when Congress adjourns next week, will then take up work of drafting a bill to be used as basis for further hearings at next session of Congress in Dec. 1931. Proposed bill likely to meet strong opposition; committee likely unsure how far it can go. Attempt at unifying banking under Federal control probable. Editorial in favor of the Kendall bill restricting imports produced by forced labor. Bill is a reasonable compromise, giving the Treasury wide discretion in applying the ban. For example, US cigar makers, who currently import wrappers produced in Sumatra by indentured labor and are concerned about a possible cutoff of imports, can probably be given a pass until Sumatran growers adjust their system to conform with US law. Newly created State financing board says city of Fall River, Mass. [recently defaulted on loans] must cut salaries 20%-32%. Morning reports of Hitler revolt in Germany turned out to be unfounded; later updates said 'revolt' was but minor riots by Communists, not Nazis, and police had situation in hand. Chancellor Breuning asks Reichstag for blanket power to adjust tariffs; seen as stand against farm demands for high tariffs. Japanese govt. introduces bills formally legalizing trade unions and providing for compulsory arbitration. At Briand European grain conference, Austria, Holland and Switzerland promise in principle to buy grain from Eastern European states, but France and Britain exclude themselves. Wheat conf. ends with resolutions to buy up Danubian wheat surplus estimated at 3M tons; no discussion on reduction of acreage. G. Le Boutillier, Pennsylvania RR VP, reports 99.4% of the 60,100 scheduled passenger trains in NY zone in Jan. arrived at destinations on time. Penn. RR broke all records for Washington's Birthday seashore travel; over 50,000 estimated travellers between NY, Philadelphia, and Atlantic City. Dr. W. Schroder, NY City Sanitation Commission chair., recommends establishment of 33 scientific sewage disposal plants throughout city at cost of $377M. Sale of NY World newspaper significant politically; it has long “been regarded as the outstanding Democratic organ in the US”; sale would put it under control of political independents who supported Hoover in 1928. Watsongraph device for transmitting typewritten messages by radio demonstrated by Glenn Watson of Detroit. Foggiest spot in the US in 1930 was Moose Peak, Maine, with 1,562 hours or over 4 hours/day. Maine also had the second and third foggiest spots; the fourth was Point Reyes near San Francisco, with 1,398 hours. These totals, however, were nowhere near the 1907 record of 2,734 hours at Seguin, Maine. Sen. Sheppard (D, Tex.) introduces bill barring making of intoxicating fruit juices in private homes; designed to counter campaign of grape juice makers to sell kits for fermenting at home. Market wrap: Stocks opened weakly, then rallied. Selling intensified as the morning progressed and eventually brought another reaction, with sharp setbacks in stocks that had been strong for the past few days. However, leading industrials drew good support on the decline, and the uptrend resumed in some specialties in late afternoon. Bond trading dull; US govts. somewhat lower; foreign active, strong, French at record high; corp. mixed, speculative and convertible weak. Commodities mixed; grains up moderately; cotton down somewhat. Copper unchanged at 10 1/4 cents; foreign buying heavy. Silver down 1/2 cent to 26 5/8 cents. Conservative observers continue to advise buying standard stocks on declines, avoiding trading favorites and using stop-loss orders for protection. Strong spots included mail order shares, Best & Co. (chain stores), Air Reduction (metal cutting and welding), and Goldman Sachs Trading Corp. Entertainment shares were especially weak. Brokers are warning customers to be discriminating in selecting stocks, and to be particularly wary of some that have rallied spectacularly under pool operations. Stop-loss orders are increasingly popular; at times the price limits have been set too close to existing prices and uncovered during small reactions. Bethlehem Steel has been subject of strong buying interest on possible diversification through acquisitions. Impending adjournment of Congress considered favorable, particularly for utilities; danger of extra session seen small. Weekly steel reviews noted overall increase in production but uneven picture; strong points included tin plate and automotive, while structural and rail appear to be improving. Rail freight traffic, on the other hand, showed no sign of turning up. Warning to investors on various small unattached oil companies deceptively taking the Standard Oil name, including Standard Oil of Alabama, Rhode Island, etc. European currencies mostly higher; London sentiment reportedly more optimistic on hopes for British-French cooperation, possible Bank of France rate cut. One trader was buying oil shares 3 years ago, based on predictions the US would exhaust its reserves in 10 - 20 years; recently, he switched to shorting them based on the belief oil is too abundant, with one authority estimating a 500 year supply. Editorial: Agriculture Sec. Hyde claims credit for the Farm Board's maintaining domestic wheat prices well above the world level. If the total costs of this effort were counted, this would clearly be seen as a misguided effort; in particularly, it will be hugely expensive to continue the support through this year's crop. S. Insull, utility leader: "While we suffered from a very great depression of business last year, we suffered more from the fact that people lost their heads and indulged in a hysteria of despair ... This fear seemed to disappear with the close of 1930," and confidence is starting to recover. Business improvement is slight but visible; "I think there is enough improvement in general sentiment and in business generally to justify saying that we feel hopeful as to 1931, and that is all that can be said at this time. I think everybody can do his part toward restoring business ... by taking an optimistic view of the situation." Fed. Reserve review for Jan. 1 - Feb. 15 reports bank suspensions declined sharply in first half of Feb., and a number of closed banks resumed operations. Industrial activity increased slightly less than usual seasonal amount, while factory employment and payrolls declined. Refineries ran at 63.6% in week ended Feb. 21; stocks of gasoline increased 749,000 barrels to 43.608M. Crude oil production in week ended Feb. 21 was 2.159M barrels/day, up 28,526 from prev. week but down 540,312 from a year ago. Oil production in new East Texas fields doubled last week to 25,300 barrels/day; potential seen much greater; major company officials concerned about effect on prices; many of the leases are small, with owners looking for "immediate and complete exploitation." Standard Oil of Calif. reduces wholesale gasoline price 2 cents/gallon to 14 1/2 cents. Steel production in week ended Monday was at 52% vs. 50.5% prev. week, 49.5% two weeks ago, 80% in 1930, and 83% in 1929; US Steel rose to over 53%, highest rate this year. Weekly steel reviews report continued gradual increase in production, though buying still cautious; some price rises in finished products being discussed, though outlook is unclear; scrap prices slightly firmer. NY County Grand Jury continues Bank of US probe; now considering whether directors were guilty of misconduct. Directors and officers of failed Bancokentucky named defendants in suit for $60.8M filed by receiver. Agriculture Dept. reports weather favorable for crops in past week; rains have continued in most sections. US electric output for week ended Feb. 21 was 1,680 GWHr, down 3.6% from 1930, vs. a 4.7% decline prev. week and 5.9% two weeks ago. Northwest Bancorp. reports 1930 gross revenues of 184 non-utility corporations operating in their territory were $639.4M, down 9.2% from 1929. Texas rails seek permission from ICC to compete with truck lines by cutting freight rates on cotton. Western rails to discuss problems of passenger traffic at meeting Thurs. in Chicago to be attended by ICC Commissioner Mahaffie. The ICC has been reluctant to help the Western rails by granting higher freight rates until they take steps to fix conditions in the passenger field. On a list of 40 representative cos. reporting higher earning per share in 1930 than 1929, there were 9 utilities, 7 food and beverage cos., and 5 tobacco cos.
Companies reporting decent earnings: Consolidated Gas of NY, Public Service of Northern Illinois, American Safety Razor, Mortgage Guarantee of Los Angeles, Butterick (sewing patterns). Real Wages in the US, 1890-1926, by Paul H. Douglas; Unemployment Benefits in the US, by Bryce M. Stewart; League of Nations, Ten Years of World Cooperation, by Secretariat of the League. Editorial: NY Gov. Roosevelt is a nationally prominent Democrat; with 1932 on the way, his record will be of interest around the country next year. The NY State legislature is now considering an investigation into govt. corruption in NY City; a slim Republican majority is being blocked from starting the investigation by the Republican leader of Westchester County, which adjoins the city. To date, Gov. Roosevelt's response to this situation has been disappointing. "In such a matter a man like Gov. Roosevelt cannot becomingly take the typical position of a professional politician, to whom it is a trifling matter to affront the conscience of good citizens. ... Can a man of presidential stature be content to make so feeble a response to events of such serious import?" Sen. Borah (R, Idaho) and Robinson (D, Ark.) urge immediate investigation of charges published by NY newspaper that unnamed Senator accepted bribe over $100,000 to promote a high sugar duty. Supreme Court upholds 18th Amendment (Prohibition), reversing decision of Judge Clark in NJ District Court that it was adopted unconstitutionally. Washington report: Pres. Hoover's action on veterans' bonus and Muscle Shoals awaited; two vetos are expected. Regardless of whether they are sustained or overridden, they will have a strong effect on the future course of these issues, and on Pres. Hoover's political future. "The reputation of more than one President has been made by veto messages." Pres. Hoover has produced none of significance yet; these may be a good opportunity, "particularly if there is any basis for the current judgment that the downward curve of presidential popularity has reached its bottom." House and Senate pass second Wagner unemployment bill providing for system of Federal and State employment agencies despite Administration opposition. Nat'l. Bank of Greece Gov. Diomedes going to London to discuss second portion of public works loan. French Fin. Min. Flandin reports good progress at conference of British and French treasury experts; agreements understood to have been reached on bolstering European credit and on central bank cooperation to prevent gold drain from London. Bank of France reportedly may cut rate below current record low 2%. Rebels in Southern Peru appeased after personal manifesto from Lieut.-Col. Sanchez Cerro reversing program of the military junta and promising Constitutional rule. Announcement follows reports that military forces in South were prepared for action against regime unless drastic changes were made. Canadian immigration authorities are retaliating for US barring of Canadian workers in border communities by restricting entry of field workers from the US South to work "the great new tobacco field of Norfolk County, Ontario." Editorial by T. Woodlock: Problems of the anthracite (hard coal) industry are due largely to intransigence of union in restricting production per worker; reasonable compromise on this issue would benefit both operators and miners by lowering product prices and increasing market. However, while recent years don't compare with “Molly Maguires” era of the 1870's, “iron rule” of the unions makes such a sensible plan unlikely. British complete tests of new "fighting plane" carrying six machine guns and four 20-pound bombs; craft has ceiling of 26,000 feet and speed of 194 mph. NY, Phila. & Washington Airways sets record for one day's air traffic, carrying 355 passengers between Newark and Washington Feb. 21 using 16 extra planes. Scripps-Howard organization seeks to buy World and Evening World newspapers from estate of Joseph Pulitzer and consolidate them with New York Telegram. Argentine voters are fond of casting "voto fundado," in which they explain the reasons for their vote, even though this disqualifies the vote from being counted. The reasons given are often humorous; for example, one voter wrote that his candidate seemed a shade less fatheaded than his opponents, and, though a grafter, was at least not a grafter and a hypocrite like the others. "The famous storks of Strassbourg are disappearing. ... Hundreds of storks nests' bristle in the lofty towers of the Strassbourg cathedral" and other commanding spots around the city. The Ornithological Society of France has discovered that their birth rate is declining so quickly they will soon be extinct. Market wrap: Stocks opened very strongly on a huge accumulation of buy orders over the holiday; stock ticker ran substantially behind for first time since new high-speed system was installed; vigorous advances continued across the list for first four hours, with new yearly highs in leading industrials and utilities, and sharp advances in trading favorites. Profit-taking developed in the afternoon, becoming heavy in the last hour; however, trading slackened on the setbacks and downturns were limited to moderate proportions. Bond trading active; US govts. quiet, off slightly; foreign strong; corp. irregular but mostly higher. Commodities mixed; grains generally lower; cotton up very sharply. Market observers more cheerful; recommend picking up standard stocks on reactions, but advise protecting positions with stop-loss orders, and raising the stop-loss limits as further advances take place. Dow theory adherents were impressed by Saturday's advance in the Dow rail average to a new yearly high, "confirming" advance in the industrials; while technical reactions may occur from time to time, "line of least resistance appears likely to be on the upside for an indefinite period"; an advance to around 200 on the Dow is anticipated before any serious resistance is encountered. Some bears rumored to be switching to the long side, but a stubborn short interest is being maintained by skeptics who believe the rally has outpaced business improvement; some traders have also been trying to catch the market top with new short positions. Bull pools also continuing their activities. Bank stocks' recent improvement considered significant; they had been severely deflated, with leading NY City bank stocks declining about 72% from fall 1929 peak to the Dec. low. Insurance stocks, on the other hand, didn't participate much in the past week's rally. Money market expected to firm due to month-end influences and upcoming Treasury and NY City financing. Foreign currencies stronger; British bill rates continue higher to counter advances in NY, now at about 2 5/8% vs. 1 5/8% in NY. Rather convoluted analysis indicates a likely recovery in rail freight in 1931-32 based on patterns of previous depressions since 1900. L. Domeratzky of the Commerce Dept. notes general failure of international cartels to stop downward price movements in many commodities. London stock market has been better this week following more a optimistic speech by Chancellor Snowden on Saturday. German bond outlook believed better; Communist disturbances of last fall have run out of steam, while Chancellor Breuning appears to have better control of the Reichstag and revolutionary factions have been less prominent. While few would predict when the economy will turn definitely upward, the worst is thought past. Guaranty Trust of NY monthly review says Jan. business upturn appears to have been almost entirely seasonal, with activity in Feb. mixed; most that can be said is that decline in business activity has stopped, but no clear trend is now visible; anticipates a few flat months, followed by gradual uptrend. Editorial: Retail price cuts have lagged behind wholesale prices declines longer than usual in depression periods. "There can be little question that excessive first prices, together with a mistaken emphasis upon original cost instead of replacement cost as the basis of pricing, have had something to do with retarding business recovery." By many indications, merchants now are adjusting prices to lower levels; smaller profit margins should be compensated for by higher turnover. H. Williams of NY Title & Mortgage Co. tells Glass committee conditions in guaranteed real estate mortgages far more encouraging than a year ago; many loans have survived two or three renewals, indicating people are protecting real estate holdings; hits real estate bonds as more complex, with less margin of safety. L. Miller, Willys-Overland pres., sees US auto upturn continuing; Feb. sales were up 40% over Jan., March expected to be up 40% over Feb.; expects total sales for 1931 at least 10% over 1930, or about 3.8M cars and trucks. C. Schwab says barometer of general US business conditions improving; steel earnings improved in Jan. over Dec., and improved further in Feb.
Bank of US officers file to dismiss indictments on grounds two members of the grand jury held accounts in Bank of US. At bankruptcy hearings, testimony that on July 16, 1929 loans to directors totalling $9.974M were approved by the directors; loans were granted without collateral, and below call money rates at the time. Rail freight loadings for week ended Feb. 14 were 720,689 cars, up 1,636 from prev. week but down 19.3% from 1930 week, and down 24.7% from 1929. NY Cotton Exchange reports strong sales of cotton cloth in the past two weeks; cotton mills are now "in the favorable position of holding larger orders and smaller stocks than at any time since early 1927." Foreign sales also reportedly improving. Crude oil production in week ended Feb. 21 was 2.165M barrels/day, up 37,550 from prev. week but down 556,800 from a year ago. “Forests of derricks” are springing up in the new East Texas oil area. Governments of countries producing 88% of world's tin agree to enforce two-year curtailment of production. One of the biggest bond syndicates ever organized, including over 50 houses, will be a bidder at the huge $100M NY City bond sale next week. US rail freight traffic in 1930 totalled 422.1B net ton miles, down 14.3% from 1929 and 11.5% from 1928; Dec. traffic was 29.0B, down 19.5%. Natural gas cos. reported 1930 sales down 1.4% from 1929; decline was much smaller than for coal or petroleum. Travelers' checks used in 1930 estimated at $400M-$500M. American Machinist reports machine tool outlook brighter in Feb., though sales have held at Jan. level. Number of workers insured against employment has increased to about 48M from less than 5M in 1919 (year of Int'l Labor Conf. in Washington); countries with most insured are Germany 16.7M (3.5M now unemployed), Britain 12.1M (2.5M now unemployed), and Russia 10M; insurance is mandatory in these countries. Russian payments have been suspended since Oct. due to high unemployment. Canadian report: Customs collections in 1930 were $161.4M, down $45.6M. Exports of cars and parts in 1930 were $20.4M, down 57% from 1929, 43% from 1928, and 36% from 1927. Production of cars in 1930 was 154,152, down 41% from 1929. Building permits in 61 cities in Jan. were $7.5M, down seasonally from $15.4M in Dec., but higher than $7.2M in Jan. 1930. Sun Life pres. T. Macaulay statements at annual meeting: company now willing to take profits on stock holdings in some situations; will increase holdings of preferred stocks and bonds; anticipates maintaining high level of distributions to policyholders. Canadian govt. sets prohibitive tariff on imports of US carrots. Treasury Dept. finds no justification for issuing finding of Soviet manganese dumping in US. Automatic Voting Machine Corp. expected to benefit from growing adoption of their voting machine by state and local governments. Caterpillar Tractor and Allis Chalmers are reportedly experiencing record first-quarter business. McKeesport Tin Plate is operating at 100% capacity. Companies reporting decent earnings: Standard Gas & Electric, Illinois Northern Utilities, A.O. Smith (piping, special steel shapes, etc. ), Bourjois (cosmetics), Hale Bros. Stores, Novadel-Agene (products for bleaching wheat and flour), Telautograph (machines transmitting diagrams by wire). Museum of French Art presents a strong exhibit of paintings by Picasso, Braque, and Leger. Third International Antiques Exposition will be held at the Grand Central Palace. Among the rarities on display will be the Treaty Room where representatives of Charles I and Oliver Cromwell met in 1645, and two needlework rugs made by Marie Antoinette and her companion, Madame Elizabeth, during the last years of their imprisonment. "First Chorine - Did you tell anybody of your secret marriage? Second Ditto - No, I'm waiting for my husband to sober up - I want him to be the first to know." A Chicago actress entered a lawyer's office and asked what the fee would be for a divorce. "Five hundred dollars" was the reply. "Nothing doing," retorted the lady. "I can have him shot for ten." "'How d'yer like yer new boss, Mame?' asked one stenographer of another on the elevated. 'Oh, he ain't so bad, only he's kind of bigoted.' 'What yer mean, bigoted?' 'He seems ter think that words can only be spelled in his way.'" Although produced with "eerie atmospheric backgrounds," conveys little of the terror which made Bram Stoker's novel such exciting reading. Dialogue and action are too slow to be effective. Bela Lugosi repeats role of "human vampire" that he portrayed on stage, and Edward Van Sloan is Dr. Van Helsing; "both play their parts in a conventional stage manner which is not well suited to motion pictures." By Rocket to the Moon - directed by Fritz Lang. Suffers by comparison with the "more tinseled" Hollywood production Just Imagine. The director, who consulted with German authorities on aeronautics and rocket flight for authenticity, came up with "a moon too drab to be entertaining"; a love triangle plot seems out of place. Here's the strangely compelling launch scene from By Rocket to the Moon, A.K.A. Woman in the Moon - it does seem amazingly realistic considering when it was made and that it's said to be the first film with scenes set in outer space. In fact, this film apparently invented the dramatic 5-4-3-2-1 rocket-launch countdown! For authenticity, Lang consulted with Hermann Oberth, who was Germany's foremost rocket scientist and Werner Von Braun's mentor. First film to "reproduce, realistically the sounds of jungle life ... Some of the scenes were 'staged,' of course, ... but many of the most thrilling episodes were obtained on location, with the animals fighting over their kill and plunging through the jungle unmindful" of the cameras. House agrees to expunge Rep. McFadden's sensational charges against Sen. Wagner and Copeland (D, NY) from the Congressional Record. McFadden had charged the Senators agreed to vote for E. Meyer as Fed. Reserve Gov. in exchange for NY Republicans dropping investigation of Tammany Hall corruption. Washington report: Announcement of Pres. Hoover's vacation plans taken as conclusive evidence no extra session of Congress would be called; utilities rallied. Muscle Shoals fate uncertain. Congress will approve “compromise” plan in which govt. will try to negotiate a lease for the plants for the first year; in practice, this is unlikely and outright govt. operation would result. It seems increasingly probable but not certain that Pres. Hoover will veto the plan, and it would then be likely the House would sustain the veto. Fate of oil imports compromise uncertain. Administration likely to approve world silver conference called for by Senate. French Deputy Bouilloux-Lafont defends proposed $258M Ministry of War budget, saying it's less than other nations and than pre-war level. Editorial: Giving the ICC more authority (over rail holding companies) seems a losing idea, since it hasn't effectively used the powers it has to promote railroad unification under public control as envisioned in the Transportation Act of 1920. Postoffice Dept. agrees with executives of 26 air mail lines on new formula for air mail rates allowing greater development of air passenger service. Dept. also suggests more uniform air passenger rates, which currently vary from 4 cents to 13 cents per mile in different parts of the country. Pan American Airways prospects seem favorable; Postmaster Gen. Brown has implied their air mail routes should be profitable soon; company has long-term mail contracts and 20,000 miles of airways in operation; S. America seen as good field for developing air transport. First telephone service between Santiago, Chile and London inaugurated. One remnant of "Trust Buster" [Theodore] Roosevelt's era can still be found in a NY City financial district building - a hidden staircase winding down from the executive offices to the basement. This allowed company executives, when a process server called, to discreetly exit their offices and blend into the crowds outside. Market wrap: Stocks rallied broadly across almost all groups; substantial selling to take profits ahead of the long weekend was easily absorbed; many new yearly highs; major industrials led the advance; trading favorites rallied vigorously. Bond trading more active, cheerful; US govts. dull, steady; foreign mostly steady, with sharp rally in Australian; corp. firm, speculative issues continue rally. Commodities mixed; grains down substantially; cotton up slightly. Silver up to 27 1/4 cents. Week in review: Stocks up strongly; Dow now up about 20% from Dec. lows. Bond trading quieter, but prices surprisingly steady in spite of the veterans' bonus; corp. speculative and convertibles rallied sharply. Money market showed some signs of firming, as rates on bankers acceptances rose. Foreign currencies irregular. Sterling continued weakening following Chancellor Snowden's "economy speech"; increase in Bank of England's 3% rate was rumored, as resumption of gold drain appeared possible, though seasonal strengthening is likely soon. Marks held well, while pesetas rallied following change in Spanish govt. Silver hit a new record low at 25 3/4 cents early in the week, then appeared to steady. Steel continued gradual improvement, with production rising over 50% and good automotive demand, but buying remained cautious. Grain prices moved in a narrow range, declining to start the week but firming to end it. Cotton rallied early in the week, then gave up most of its gains. Bears maintained the rally had outpaced mild improvement in business and pointed to the false rally in early 1930, while bulls cited tremendous reduction in speculation and pointed to 1921 as a better analogy that would suggest bottom has roughly been hit and current rally is likely to persist for some time. Market has already passed through a tremendous readjustment; the bear period has lasted for most of the time taken by memorable bear swings of the past, and on a percentage basis has already exceeded any of them. Conservative observers continue to advise accumulating standard stocks on technical reactions; advise using stop-loss orders for protection. A considerable pool of buyers now seen underlying the market, consisting of bulls who sold out on the upswing and are anxious to rebuy. Strong spots included auto-related companies, coppers, American Can, Goodyear, and Auburn; rails joined the rally late in the session, further encouraging bulls. Industry sentiment said better thanks to gradual business improvement in past 6 weeks; stock market rally has also helped. Bulls encouraged by recent pattern of declining volume on setbacks. Bears said to be active in US Steel, arguing it won't earn its dividends in the first half. Bull pools are said operating in Vanadium, A.M. Byers, and Tubize Chantillon B. Recent movements in trading favorites seem to have been caused by unfounded rumors spreading around the country, judging by inquiries at leading brokers. This is normally a sign of pool manipulation. Recent market uptrend said driven partly by large short position and increased public buying, particularly of trading favorites. Broad Street Gossip: Idle cash is piling up at many corporations, and may soon be put to more productive use; “Never before was industry in a stronger cash and inventory position at the end of a depression - that is, if the current depression ... is at an end or close to it.” Brokers report many new accounts, particularly from the interior; many who left the market after the declines last fall are back again. Over the past three weeks, bull tips have suddenly become profitable again. Editorial: Break in cotton prices at end of the week may be a warning signal. While a reaction would be expected after the strong recent rally, the fundamentals don't look good; consumption will probably decline this year, while farmers and weather may combine to increase supply. J. Bunting, presiding at tea-brokers meeting in London, says tea trade nearer ruin than ever thanks to "antediluvian marketing" and ill-advised Russian deal. Curiously, in spite of all the ill effects thought to follow the veterans' bonus, the market has rallied almost in time with the progress of the bonus over the past few days. Possibly the market had discounted a bigger version of the bill. It's also true that, while increase in the public debt would be unfortunate, a new issue of $1.5B would only restore the debt to its level of June 1928, when business and stocks were rallying. Adjournment of Congress March 4 may also be cheering the market. F.W. Dodge predicts Feb. likely to show first year-over-year increase in residential building since Aug. 1928, based on first 15 days. Chicago having trouble restarting tax collections after long delay due to legal disputes; 1929 tax bills may not be sent out in time for citizens to pay by April 1, in which case they would be officially delinquent. Oklahoma Gov. Murray starts investigation of possible discrimination in applying oil production curtailment in Oklahoma city field. Champlin Oil says intends to appeal case against curtailment to US Supreme Court if necessary. 110 test wells under way in new East Texas oil area; at least 50 more expected within a week. Fisher's wholesale commodity index declined for 11th week in a row, to 75.8 for week of Feb. 20, vs. 80.7 for week of Dec. 5. BLS reports wholesale price index of 550 commodities was 77.0 in Jan. vs. 78.4 in Dec. and 93.4 in Jan. 1930; retail food price index 132.8 vs. 137.2 and 155.4. Youngstown district steel production to remain at 50% this week. Commerce Dept. reports outstanding feature of 1930 exports was rise of machinery exports to first place in value, displacing raw cotton due to price decline. Countries with most dollar bond issues outstanding in US, excluding Canada: Germany, $1.190B; Argentina, $450M; Japan, $423.4M; Brazil, $367M. World copper production in Jan. was 129,390 tons vs. 136,252 in Dec. and 157,548 in Jan. 1930. Romanian oil prices plunge 50% after breakdown of curtailment agreement; all producers there are losing money; crisis also developing in Polish industry. Possible liabilities of Canadian provincial govts. for guarantees on 1929 wheat crop placed at $23M. Italian wheat crop said progressing well; a successful crop would aid the Fascist govt's objective of reducing trade deficit and making Italy self-supporting. Spain restricts exports and short sales of peseta currency. Average speed of freight trains in 1930 was a record high 13.8 mph. American Tobacco (makers of Lucky Strike cigarettes) expected to raise dividend this year based on higher earnings. R.C.A. Communications (worldwide radio network) handled 58M paid words in 1929 vs. 45M in 1928 and 38M in 1927. Companies reporting decent earnings: Loose-Wiles Biscuit, Brooklyn-Manhattan Transit, Parker Rust-Proof, Buckeye Pipe Line. Talkies have been credited - and blamed - for many things. Currently, in Paris, they can be credited for revival of the “picturesque old calling of minstrelsy,” but blamed for making it more commercial. In the old Paris days of the cafes chantants, unknown poets and composers could create a vogue with a topical song, which could spread from the cafes to the theatres, giving the song writer fame though seldom fortune. 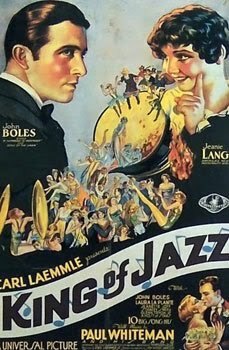 By contrast, successful US popular songwriters have reaped rich rewards since the 1840's and 50's, and this has been greatly increased by the talkies, which can expose a song to an audience of millions, leading to sales in the hundreds of thousands of copies and making millionaires of some composers. The Paris equivalent of “tin-pan-alley” took notice, particularly of the dizzying sums of money raked in by The Singing Fool, as Al Jolson's “Mammy” echoed from French movie screens. The French topical song and street singer are now back with a vengeance; a few of the street musicians write their own songs, but most learn the latest native hit; some are said to earn 500 francs a day selling copies. No Journal was published Sunday, Feb. 22, 1931. I'll begin today, of course, by congratulating Alan Greenspan for winning the Dynamite Prize in Economics as the economist most responsible for the Global Financial Crisis - although, looking at the other candidates, I don't see how it was really in doubt. I mean, it's like comparing Babe Ruth to a normal Hall of Famer, or Newton to a run of the mill Nobel winning physicist. Now for something more cheerful: an optimistic tale of Midtown Manhattan - where capitalism still works. Bryant Park (west of the 42nd Street library in Manhattan), on a Saturday afternoon. The sun was out, the temperature unseasonably warm. I sat myself down for some heavy thinking. A couple of sixtyish gents sat down behind me and commenced to converse as if I were invisible (I have that knack). One was a hard-boiled looking character with that pickled look you can only get from several decades of heavy smoking and bitter feeling toward your fellow man. The other had a serene punim topped by a full head of white hair. I soon understood that both of them were professional ticket scalpers. Surprisingly, the calm-looking one was a full-time scalper who had already made $400 that day, whereas the more hustler-looking type had a steady job and scalped for extra money. To my fascinated ears there then unfolded the tale of the Broadway ticket scalping ecosystem. It starts with the theaters, which unload a set of available tickets at bargain prices (around $25) early in the morning. These are snapped up by the first link in the food chain, typically an octogenarian no longer up for the main scalping racket. They are then passed off at a $10 or so premium per ticket to scalpers like these two, who have the more difficult job of selling a $100 piece of paper to a stranger in Times Square based only on their personal guarantee. The rewards for this mind-boggling feat of salesmanship are larger ($30-$70 per ticket), but of course the risks assumed are greater. The ideal is a show that sells out later in the day, in which case, as Pickled-face put it, “I can sell those for $100 – wid' a kiss!” But, in the worst case, they may have to sell the tickets below their cost or even eat them (the idea of using the tickets themselves seemed as alien to them as the concept of thirst to a flounder). So far so good. But into every Eden a Serpent must enter – and sure enough, talk soon turned to a new scalper who had been conning the customers. Among other offenses, he was said to be passing off standing-room tickets to tourists by telling them they were for a special seating area in the back of the theater with folding chairs. I was surprised by the contempt expressed for this Fugazy scalper (f***in' mutt was a typical term). On reflection, though, it made sense that the scalpers who play it straight would dislike the shady ones because they're bad for business. Mention started being made of a character named Boxer Pete who, it became apparent, was a member of the scalping community who acts as an enforcer running off undesirables. A consensus soon developed that a call to Boxer Pete was in order to get the new guy to straighten out and scalp right. Pres. Hoover reports over 450,000 will be at work on govt. projects within a month, vs. 150,000 before the depression. Rather bitter editorial concerning Sen. Norris' victory in the 10-year struggle over Muscle Shoals [compromise appears set to be approved by House and Senate]. It now appears the supposed function of the project as a yardstick for measuring fair power rates is doubtful; the real objective appears to be putting the government in the fertilizer business; this endeavor is likely to fail, so the net effect will for the Federal govt. to use an investment of $150M and its taxing power to supply a small part of the country with electricity that may or may not be cheaper than what they could get from other sources. Washington report: Pres. Hoover says will act on veterans' bonus by middle of next week; veto expected. Arrangements going forward to enable Pres. Hoover to take a long-delayed vacation; dates not yet set. Change in Congressional reapportionment unlikely; Western and Southern states with low alien populations had sought a Constitutional amendment excluding aliens from the count dictating representation in Congress, while large Eastern states had sought to exclude people barred from voting; this was aimed at the black Southern population. Compromise apparently reached on oil legislation, may be enacted this session; will put tariff of over $1/barrel on imported oil over quota set proportionally to domestic production. J. Parmentier, French economist, says Russian five-year plan already 75%-80% successful; predicts within a few years it will be in position to launch economic offensive capable of ruining countries such as Germany and Britain that depend largely on export trade. International bankers meeting in Paris minimize gold problem as cause of depression, believe it can be solved with long-term credits. French coal mines attempt a price cut, becoming first important French industry to do so. Unions in North vote general strike starting March 10. Peruvian govt. declares martial law in Lima after group of 60 armed men tries to sieze Presidential palace; outbreak blamed on followers of deposed Pres. Legula. Dow Jones news ticker operates with a speed the casual observer doesn't appreciate; time from reporters being informed of the NY bank rate until it comes across the ticker is less than 15 seconds, while a recent court decision in London appeared on the ticker 17 minutes after a cablegram on the decision was filed in London. San Francisco Bay is home to one of the oldest industries: salt, produced elsewhere by mining, is there extracted from seawater by evaporation in shallow beds. Columbia University annual budget increased from $820,900 in 1900 to $11.5M last year, while enrollment increased from 4,400 to 51,600; share of expenses paid by students declined from 49% to 38%. Market wrap: Stocks continued strong, with new yearly highs in almost all major industrials; public utilities, banks and trusts also strong; profit-taking increased toward the close but was absorbed easily. Bond trading quieter; US govts. dull, steady; foreign mostly steady to firm, German reach new yearly highs; corp. mostly higher with particular strength in convertibles. Commodities weak; grains mostly off; cotton down sharply. Copper remained at 10 1/4 cents. Silver market seen stabilizing as Indian inquiry increases. Conservative observers cautiously optimistic; recommend postponing new buying until Tuesday in case of unforeseen developments over the holiday weekend; if nothing new develops, recommend buying good stocks on minor recessions and holding until "market itself indicates a change in the trend." Banks and trusts had one of the most active trading days in months; rumors of mergers in the air, with City and Chemical particularly active. Market strength attributed to short-covering and renewed outside buying; late profit-taking attributed to traders closing out before leaving for holiday weekend. London stocks were down on the week on widespread nervousness over national finances; London raised open market rates to defend sterling. Increase in brokers' loans of $23M (1.31%) was considerably smaller than expected in view of recent market rally. Buyers in recent days are using stop-loss orders for protection, as advised by brokers and conservative observers. Stop-loss prices have been moved up to follow the market, so a good reaction might trigger a number of them. Utilities said to be increasingly popular with investment trusts. Municipals easier after announcement of $100M NY City bond sale; Dow average yield of 20 long-term state and city bonds is 4.01% vs. 3.92% on Jan. 23. Increase in automotive operations appears to be spreading to truck and bus makers; orders are up at accessory companies. A.&P. stock is up over 50 points this year, to 221; earnings report expected to compare well to 1929. Goldman-Sachs Trading Corp. (investment affiliate of Goldman Sachs) hit a new yearly high above 8; liquidation value was $12.40 at year-end and has gone up considerably since. Editorial: At first glance, getting anything good out of Bradstreet's report of Jan. construction seems like "getting honey from a rock"; permits in 186 cities were down to $90.7M vs. $106.9M in Dec. and $110.6M in Jan. 1930. However, permits in NY City were $33.5M vs. $27.6M and $29.6M; "It may be suggested ... that a city that is the center of the country's commerce and finance would be the first to feel an approaching improvement." B. Anderson, Chase Nat'l Bank economist, disagrees with recent report of League of Nations gold committee blaming much of depression on gold shortages; says deflation has already postponed any serious shortage for a number of years; criticizes proposals for expanding credit as excessive and harmful; believes fundamental solution to gold maldistribution is freer trade through reduction of tariffs and other trade restrictions. W. Atterbury, Pennsylvania RR pres. : "I am hopeful we have rounded the turn"; sees signs of improvement in carloadings, steel and auto industries. Another Bank of US director, J. Gilchrist, testifies he personally knew nothing of the bank's affairs, and did practically nothing to find out what was going on in the bank other than attend directors' meetings. Litigation ongoing regarding bank pres. B. Marcus' arrest for refusing to testify. Executive VP S. Singer was called, but invoked his right against self-incrimination and only answered a few questions. Fed. Reserve Feb. bulletin notes increased demand for currency in past 15 months, particularly following Bank of US failure; currency in circulation at end of Jan. was $100M over Oct., while ordinarily the total declines $150M-$200M in that period. Also noteworthy was a large decline in credit extended; over the past 15 months, outstanding bank credit declined by $3B, reflecting lower business activity; security loans by non-bankers to brokers and dealers declined $5.5B. Jan. internal revenue collections were $77.7B vs. $84.6M in 1930; 7 months ended Jan. $1.474B vs. $1.588B. Western rails renew plea to ICC to reconsider drastic reductions on grain rates; with revenues already down sharply, having difficulty raising needed capital; unable to absorb further large revenue loss. Bradstreet's weekly review: encouraging reports in many basic lines, though wholesale and retail trade mostly marking time; large distributors doing fair volume through price-cutting, but small retailers hurting. Dun's reports better sentiment; improvement in business fundamentals is clearer but still slow and uneven. Standard Oil NY cut tank-wagon gasoline prices 1 cent/gallon throughout NY and New England territory, to 13.3 - 13.5 cents; other cos. matched the cut. Cigarette production in Jan. was 9.368B, up 693M from Dec. but down 840M from Jan. 1930. Lucky Strike sales in Jan. were up 246M over Jan. 1930, which in turn showed a 698M increase over Jan. 1929. NJ State Banking Commissioner endorses bill to raise limit on small-loan interest rate from 1.5%/month to 2.5%, saying small-loan brokers may be driven out of business by current limit. Rail equipment prospects appear poor; there's little inquiry going on for new equipment; orders booked or under inquiry are low and probably won't allow most equipment makers to show profits in the first half. Some dividends may be in danger in spite of generally strong financial positions. Manchester cotton market improved after settlement of labor dispute; inquiries much better. NYSE seat sold for $300,000, up $5,000 from previous sale. Company reports since Jan. 1: 143 companies reported higher earnings vs. 1930 and 511 lower; 598 dividends unchanged, 33 increased, 113 cut. Companies reporting decent earnings: Houston Oil, Dominion Stores. The Great Barrington- Satirical comedy about dubious origin of a distinguished NY family now in its twelfth generation. Prescott Barrington the First is revealed as an English servant originally named Higgins who absconded with his master's wife and jewels; arriving in America about 1630, he took his master's name and knighted himself. It turns out the family estate on the Hudson originated when Peter van Doorn, its first owner, gave it to Higgins AKA Prescott in return for marrying his servant Phoebe, who was pregnant with Peter's child. Higgins then drowned Peter and killed two other men as precautionary measures; two of the corpses were pinned to the wall of a secret cabinet with a sabre, where they are discovered by a latter-day Barrington as literal skeletons in the family closet. Rango - "Beautifully photographed, authentic" film drama of tiger hunters in Sumatran jungle; "The outstanding actors in the film are the two orang-utangs, who at times vie with Charlie Chaplin as experts in comic pantomime." Very rich lady's will: "And to my nephew Percy, for his kindness in calling every week to feed my darling goldfish, I leave my darling goldfish." Judge - But how could you marry a known burglar? Witness - Well, he was so quiet around the house.